One of the most important things for a sports fan is to have somewhere to go on the radio when you drive to and from work. Due to his antics, I have never been a big-time Mike Francesa fan, just not my cup of tea. I’d much rather listen to the musings of Michael Kay (who loves Taylor Swift music), Don LaGrecca (who compulsively brings up movie scenes) and Ryan Ruocco (who is in love with Anna Kendrick). 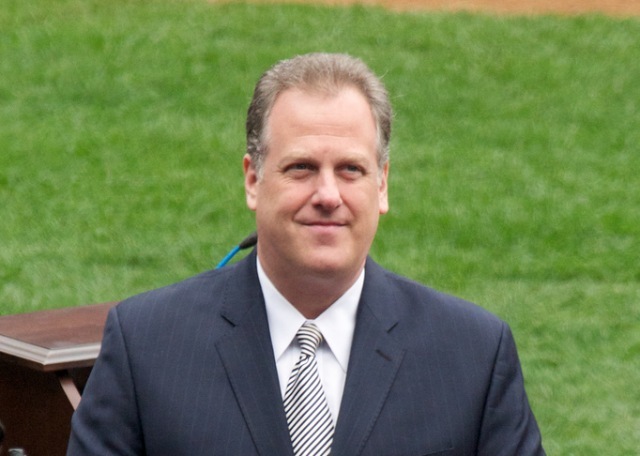 Luckily for us, in today’s edition, Michael Kay himself took some time to answer some questions about the Mets, his feelings toward them and the season in general. For previous editions of #9innings, click here. 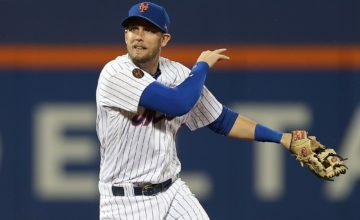 I think the return of Harvey and the addition of Cuddyer gives them a legitimate chance to contend. On the conservative side, those two should add six to seven wins, which would put them in wild card contention. They could have and should have done more in order to make a run at the Nationals and Marlins for the top of the division. They are weak defensively up the middle, which is something that bothers me with a team built around pitching and without much offense. 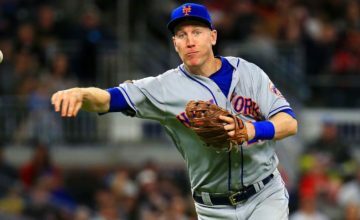 The return to form of Wright and Granderson — which is feasible with the hiring of Kevin Long — would go a long way to giving them a good shot at one of the wild card. I’m not sure there is one thing they should get, but a defensive minded shortstop with offensive capability would really help. If they wanted to really go for it and take a very expensive chance, Troy Tulowitzki would fill both needs. But with a team with obvious financial restraints that is not going to happen, and I wouldn’t do it even if they had the money because it is too much of a gamble that might not pay off. I think the NL East is a pipe dream with the way the team is constructed. The Mets should aim for 2016 when some of the Nationals will leave via free agency and maybe the Mets add some of the missing pieces. I think a wild card is the realistic play here. Marginalized? No. I believe he has some good baseball left him. Long will help him and added protection in the lineup will also play a factor. Don’t forget, they finally moved the fences in in RCF to suit Wright, meaning he can return to his normal swing and hit some out the other way. I expect him to have a good year if he stays healthy. I think Lagares and d’arnaud have to hit to make them a longer lineup. Lagares is without compare defensively but if he hits .280-.290 for a full season he becomes a complete player. As for d’arnaud, he had to hit for a full season the way he did when he came back from the minors last year. I absolutely do not hate them. I grew up a Yankee fan and I am the TV voice of the team so if you asked me which team i would rather have do better, it would be the Yankees because it would help YES, and that would be good for all the people, who are friends, that work there. But the world is not shaped where only one has to do well. I still fondly remember 2000 as such an exciting time in the city. It was awesome. New York was the center of the baseball world and it doesn’t get better than that. As for Met fans having animosity toward the Yankees, of course I understand that. Why? well, just across the river you have a team that has double your payroll, when your team has all the same resources as they do: New stadium, own network. It must seem very unfair to Met fans that the Yankees go out and spend what they have to spend while their ownership obviously has financial difficulties. 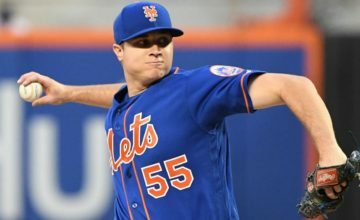 The Mets right now have the better young players that are Major League ready, but until their ownership is willing to supplement that young talent with veteran talent that costs money, I would rather have the Yankee system because they are building their farm back up and just put a tremendous amount of money into the foreign market and also will go out a spend the money to complete the team. An 85 win team that will be in contention late into September but just finishes out of the wildcard. So, any word on what Taylor Swift and Anna Kendrick think of the Mets’ chances in 2015? Because their opinions would be just as relevant as those of this hack. I actually agree that i’d rather listen to Kay then Francesa. My only problem with these #9innings is that no one has mentioned the pastrami dogs when the kosher carts are out or the sausage and pepper. Those are my foods of choice.